Banker Lopez Gassler’s Bankruptcy, Restructuring and Creditors’ Rights practice possesses a deep understanding of bankruptcy principles and law, litigation, and workouts. 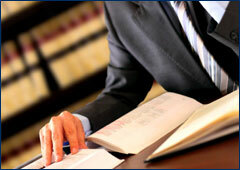 We represent our clients’ interests in all aspects of federal bankruptcy and state creditors’ and debtors’ rights law. Our capabilities extend to virtually every aspect of insolvency, liquidation, reorganization, and restructuring, both in-and out-of-court. Our clients include creditors, debtors, committees, and trustees, as well as buyers and sellers of distressed assets across a host of industries, including real estate, financial services, healthcare, and airline/aviation. Our attorneys offer the depth of experience and a multidisciplinary approach to crafting practical solutions for our clients that are facing financially stressed situations. • Disputed sales or purchases of assets in bankruptcy.